14k yellow gold and diamond 0.0075ct # 1 DAD. Not only with words, but it’s a fantastic way to display your love. 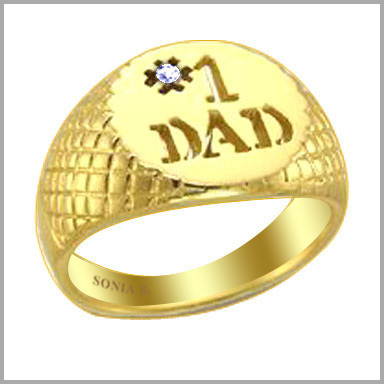 It is a unique jewelry type as well as a fun and interesting way to display your love. It features a single diamond 0.0075ct, H in color and SI2 .